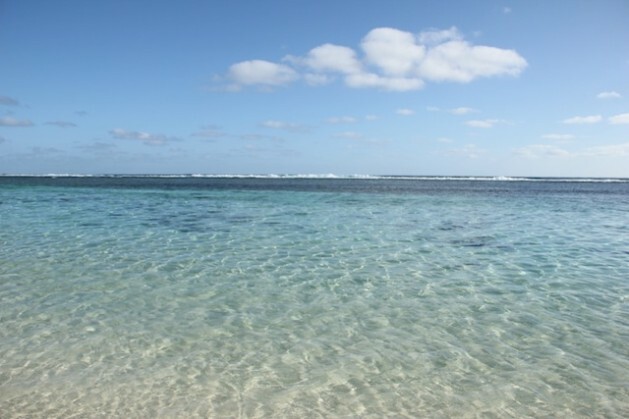 The beach and reef on Rarotonga, the most populous of the the Cook Islands. Credit: Christoph Behrends/IPS. AVARUA, Cook Islands, Sep 4 2012 (IPS) - The world’s largest marine park is due to be launched in the Cook Islands located in the Pacific Ocean about 3,000 km from New Zealand. Covering an area of almost a million square kilometres, the park will be three times the size of Australia’s Great Barrier Reef Marine Park and twice as large as the Chagos Archipelago in the Indian Ocean that topped the list of marine protected areas (MPAs) for two years. The ambitious undertaking is being pushed by an alliance of government agencies, conservation NGOs and the tourism industry. However, the marine park’s formal establishment last week marks just the beginning of a process likely to take years. The Cook Islands, that have a population of less than 18,000, were in the public eye last week at the Pacific Island Forum (PIF). Cook Island Prime Minister Henry Puna announced the launch of the marine park in the presence of political leaders from the Asia-Pacific region. U.S. Secretary of State Hillary Clinton joined the meeting on Thursday night. “The marine park will provide the necessary framework to promote sustainable development by balancing economic growth interests such as tourism, fishing and deep sea mining with conserving core biodiversity in the ocean,” Puna said. As a self-governing state in free association with New Zealand situated 3,000 km north east of Auckland, the Cook Islands comprise 15 islands separated in a northern and southern group. While the Cook landmass is just 240 square kilometres, its maritime area, the exclusive economic zone, accounts for a vast 1.8 million square kilometres, almost the size of Greenland. Iro saw potential in a vast, widely untouched marine space and the rising number of ecologically minded tourists. “It seemed like the perfect combination,” said Iro, who earlier played professional rugby league football. Already, tourism accounts for 65 percent of the GDP in the Cook Islands. More than 100,000 visitors come to the islands each year, predominantly from New Zealand. They enjoy the largely unspoiled reefs for diving, snorkeling and fishing. The islands are a popular wedding destination. The growing interest in the Cook Islands’ fishing grounds on account of overfished seas in the West and the hunger for underwater resources in emerging markets present challenges for the small island nation. The marine park is the Cook Islands’ contribution to the Pacific Oceanscape initiative, a multi-national agreement to expand protected areas, to share information on climate change impact and push sustainable management in the South Pacific. The initiative has been endorsed by Australia, New Zealand, Papua New Guinea, Fiji and Kiribati. Today a third of the world’s Tuna comes from the region, leading to calls for stricter rules to avoid overfishing and poaching. The foundation of a large-scale marine park represents a challenge for the small nation that is dependent on financial support from other countries. New Zealand brings 14 percent of the GDP each year. The marine park initiative receives no funding yet, but hopes to acquire international funds during the implementation. The precise design is still pending. Besides conservation moves, the marine park is likely to allow for some commercial fishing and deep sea mining. Developing a detailed database for the establishment of specific zones will be the next major step for the committee developing the park. “We have to learn more about which species exist where exactly,” Jacqueline Evans from the local conservation NGO Te Ipukarea Society (TIS), one of the stakeholders, told IPS. A distinctive feature of the Cook Islands marine park will be the inclusion of inhabited islands, demanding extensive consultation with the people involved – a difficult underpinning considering that some islands are as remote as it can get, with transfer costs exceeding these of a flight ticket to Europe. While the general idea of marine conservation has garnered many followers within the community, the specific impact on their lives still has to be put in balance.